Carbon Tax to Solve the US Budget Deficit? WASHINGTON D.C. – Carbon tax could be a solution to the USA’s budget shortfall, and may cut it in half within the next 18 years. On September 25th the US Congressional Research Service (CRS) released Carbon Tax: Deficit Reductions and Other Considerations, a new report on the potential economic and fiscal effects of implementing a carbon tax in the USA. The report suggested that an environmental tax of USD 20 per metric ton of carbon dioxide emissions could raise additional tax revenues of USD 88 billion in the current financial year. The research also showed that in line with the country’s economic expansion, the revenues raised from the tax could also increase, and in the year 2020 the annual revenues from the collection of the carbon tax could reach USD 144 billion. Comparing the estimated revenues from a carbon tax against the projections of the budget deficits in the USA over the next 18 years shows that the tax could reduce the country’s budgetary shortfall by as much as 50 percent by the year 2020. Even conservative estimates of the potential additional revenues suggest that the measure could reduce the budget deficit by 12 percent by 2020. 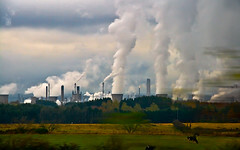 Despite the significant positive effects that the tax could have for the government’s financial position, the CRS raised its concerns regarding the potential negative economic effects that the tax could have on carbon-intensive industries. According to the CRS, the new revenues could be used to fund tax incentives for the most affected businesses, and also could be used to facilitate reductions of the tax burden of private taxpayers in the USA.